ULAN-UDE, November 21. /TASS/. Russian Helicopters holding (part of Rostec) manufactured two multi-purpose Mil Mi-171 helicopters for China General Aviation Service Co Ltd, the holding’s press service said on Monday. 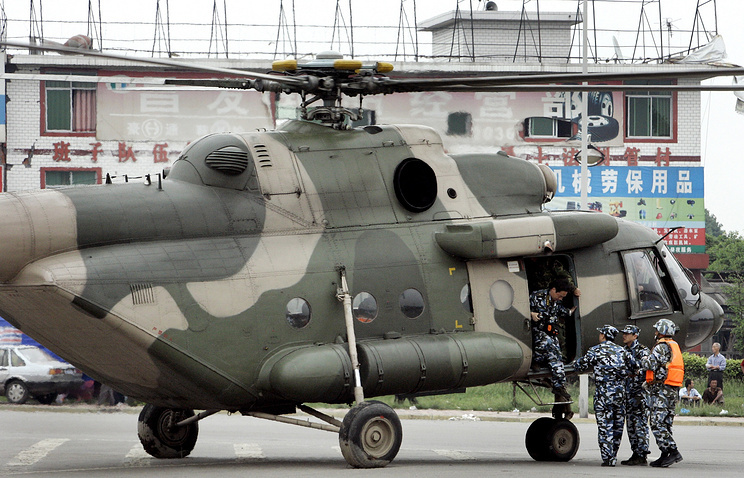 “China is the largest operator of Russian helicopters in the Asia-Pacific region. We have many years of cooperation and are currently developing relationships with new companies. The helicopters are equipped with modern equipment, which in the first place might be useful for protection of forests and fighting against forest fires,” the company’s Deputy CEO for marketing and business development Alexander Shcherbinin said. The helicopters are equipped with auxiliary power unit SAFIR, designed to supply air to engine starters or environmental control systems, which allows transporting bulky cargo of up to 4 tonnes. The contract for the supply of two vehicles with China General Aviation Service Co Ltd was signed in 2015. Russia has delivered five Mi-171 multirole helicopters to Bangladesh, the aircraft’s manufacturer, Russian Helicopters, said in a statement Thursday. MOSCOW (Sputnik) — All the helicopters supplied to Bangladesh are equipped with modern navigation systems, which enable the aircraft to be operated at any time of the day and in any weather conditions, the company said.”The Russian Helicopters holding has delivered a batch of five Mi-171Sh combat-transport helicopters to the Bangladesh Defense Ministry. [The authorities] plan to involve the newly-acquired Mi-171Sh in carrying out UN humanitarian operations and missions in areas with high criminality, as well as performing the traditional tasks of cargo transportation and maintaining border security,” the statement reads. The purchase of the helicopters by Bangladesh was financed by a state loan for the purchase of Russian military equipment. The contract was signed by Russia’s state arms exporter Rosoboronexport at the end of 2013. According to the statement, Russian-made Mi-171 helicopters are in operation in a number of countries, including in China, Ghana, Indonesia, Peru, Brazil and Kazakhstan.